Today we’re going to go way back…back into time! The #1 song on the Billboard Top 100 charts was “Too Close” by Next. Saving Private Ryan and Armageddon were competing for the top film of the year. Gasoline sold for a whopping $1.03! Now, let’s return to present day. May 2, 2012! 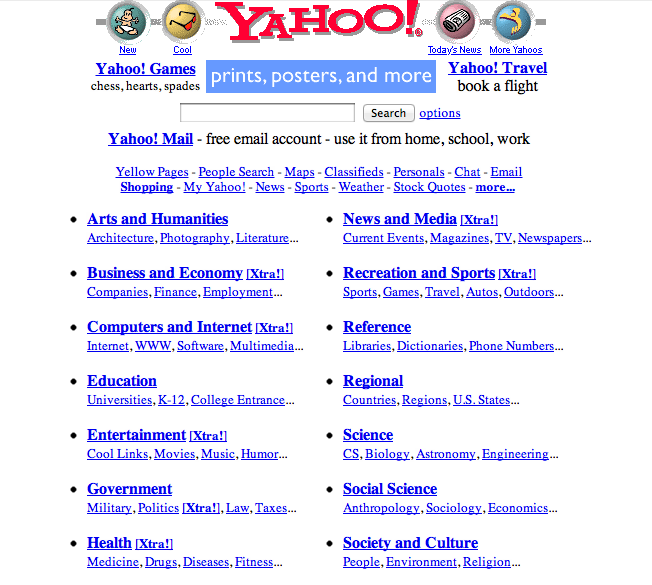 The web has vastly grown and advanced in the past 14 years. 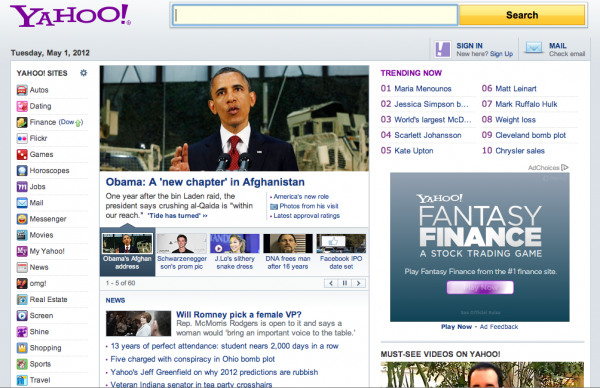 Yahoo’s homepage now features an incredible variety of daily news items, weather, celebrity gossip and useful links to social media. Photos and ads take center stage. What changes and improvements have you noticed on the internet? Or do you have any fond nostalgic for the days of dial up internet and AOL?